Market Leaders who deliver 360 degree commercial real estate services. Inland Companies, Inc. is recognized as one of the largest full service commercial real estate companies in Wisconsin. With offices in Milwaukee, Madison, and Green Bay, Inland Companies provides their clients with comprehensive expertise in a variety of services. 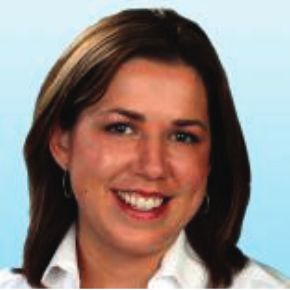 Colliers International was Katie's second family where she worked for over 12 years as a Partner/VP HR. Katie had the unique ability to connect with everyone she came in contact with. When times were tough, Katie's laughter and humor would put everyone at ease so we all could focus on the mission. To put it simply, Katie just 'got it'. She was truly in tune with people, was willing to listen and offer practical solutions. Her contributions were many and her impact on the people she touched at Inland are immeasurable. Katie's legacy will live through each us and this organization.